This day remind us of the power of memories. memories that make us laugh and those that bring tears. And help us to see your story in and through our own memory stories. Memory makers… that is what my nine-year-old calls them. She first used this term when we stopped for dinner at a Cracker Barrel. As we pulled up, I could hear them talking about the infamous rocking chairs. 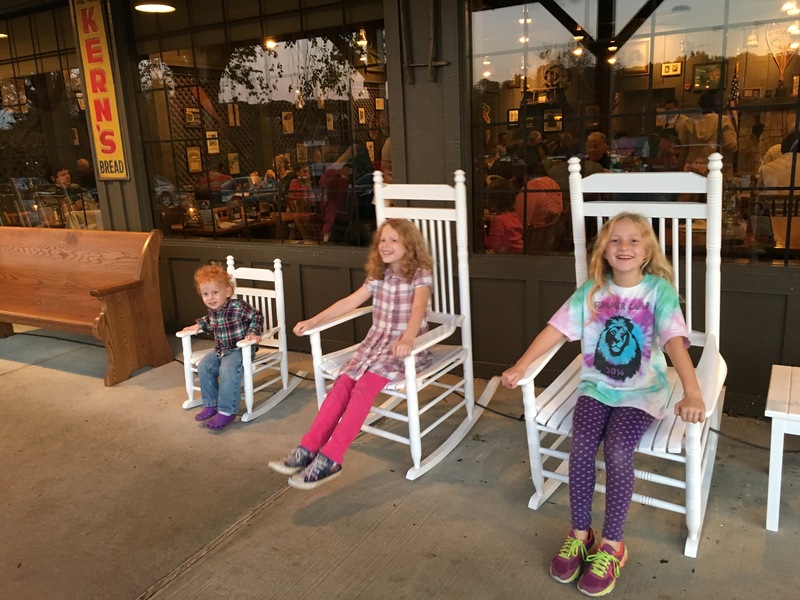 Once we got them out of the car and across the parking lot, the kids scurried to the chair they deemed an appropriate size. After two rocks and a few tummy grumbles, I got impatient and my hunger sank in. “Let’s go, kids,” I belted out, pointing to the entrance of the restaurant. I wonder, as Paul wrote this letter to the Philippians, what memories he held of this community. What were the “memory makers” that Paul held dear? As he thought about the care and time he and Silas spent with the Christian community at Philippi, what emotions and details popped into and out of his head? As we spend time with our family, with our Christian community, what “memory makers” do we carry with us? What do those “memory makers” drive us to do – or not to do – in our daily walk? Paul not only had fond memories, he also prayed for those who are part of the memory making. This month of November is filled with consumerism. Ads that come at us to buy this or that. What if each day of November we held hands and gave thanks to God for one memory? What memory would you give thanks for? How do you thank God for placing that moment/person in your life? Tags: memory, remember, thanksgiving. Bookmark the permalink.